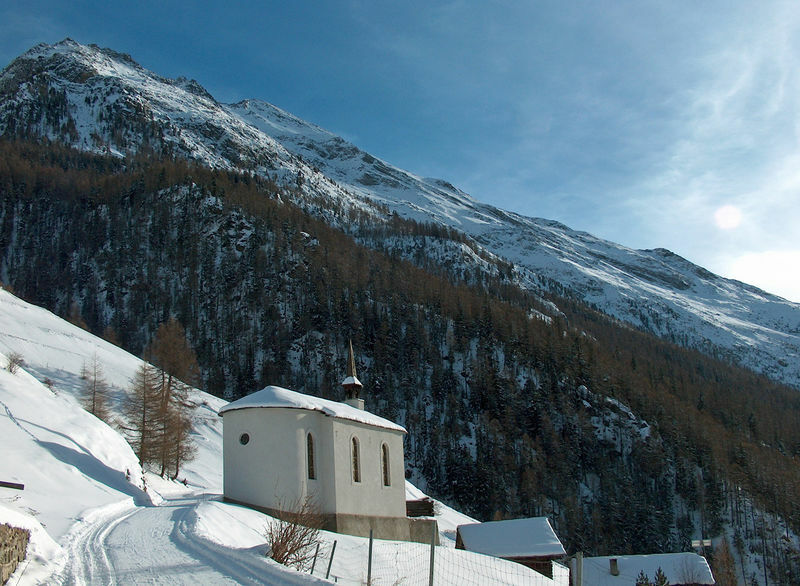 The chapel at Täschberg offers a glorious view of the Matter valley, taking in the village of Täsch (1,435 m), the Breithorn (4,164 m) and the Klein Matterhorn (3,883 m). Families with children enjoy tobogganing down the snowy, specially prepared road in winter. 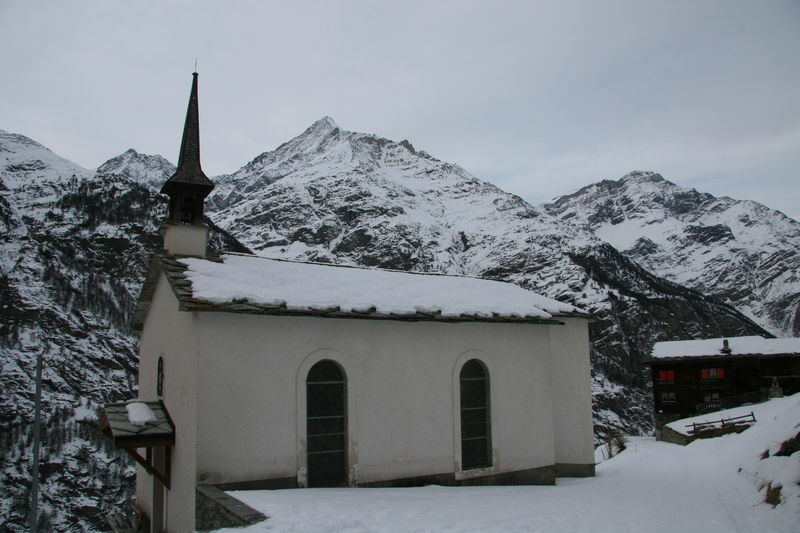 An even smaller chapel already stood at Täschberg in 1672. 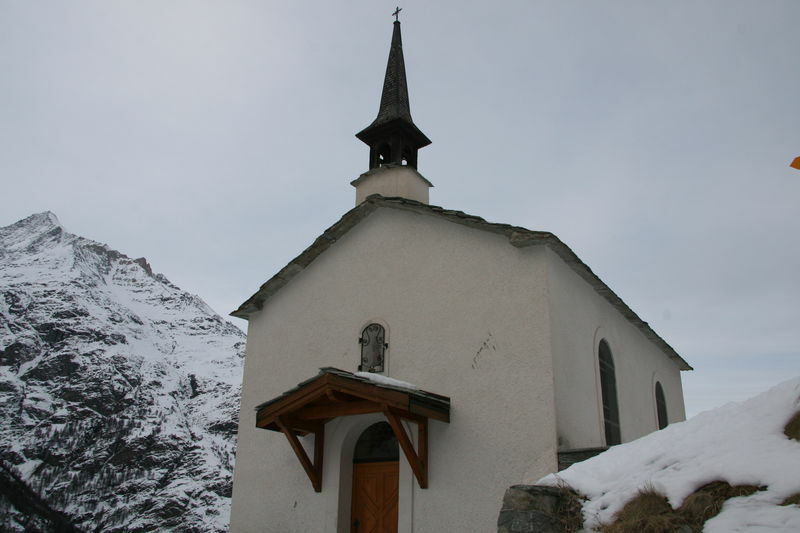 In 1872, a new and larger chapel was built at the same location. It is dedicated to the Mother of God with the Child Jesus. It was restored in 1964/65; among other things, the inner walls and floor were renovated, and benches of larch installed.